Hello again! 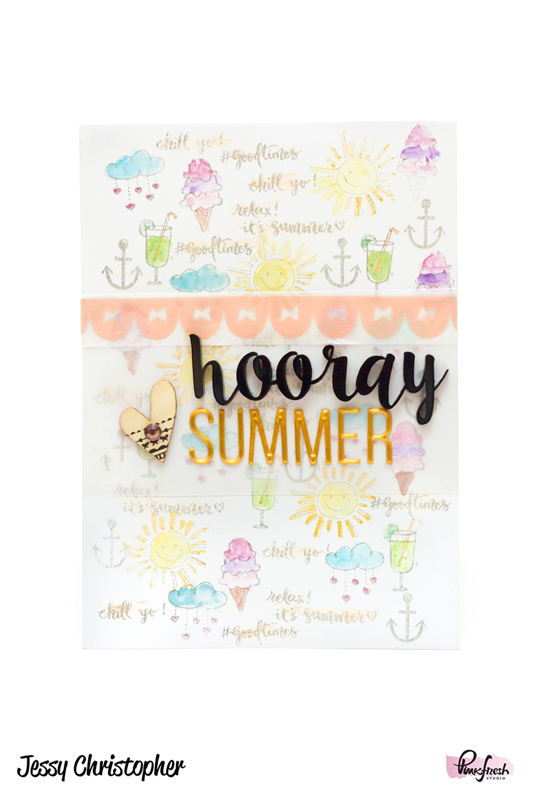 I'm here to share with you a card + a layout featuring the July kit. I am always so happy with all the pretty little things that I get each month in the kit. This month's kit is another fantastic one! This card is really fun to create. I started with stamping (stamps by Evelin Designs) on the card base & coloured each element with water-colour paint. Once that is dried, I adhered vellum across the card. Finished off with washi tape at the top of the vellum, Acrylic 'Hooray' + Gold studio puffs and heart wood veneer with a purple bling! I enjoy using washi tape as my background. I started the tape from the middle and slowly worked my way to the top and bottom. Once I'm done with that, I adhered the two ombre tags below the photos, added titles. 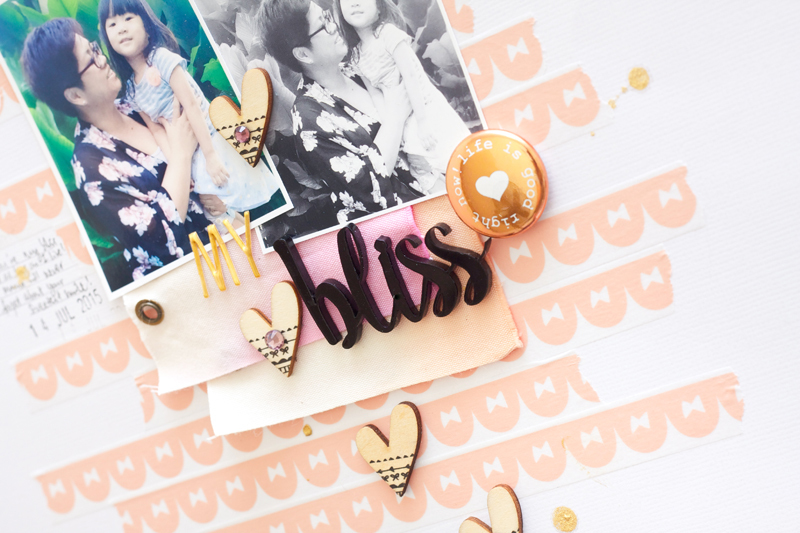 And lastly, completed the layout with heart wood veneers with blings. Always love a fast layout! Thank you for coming by and I hope these projects will inspire to grab your kit and start creating!